Lemon (citrus), all in all - considering also lemon leaves and flowers - is the most wonderful fruit in the world and extremely beneficial into our lives and should be one favorite thing to eat. Lemon is so beautiful in many ways - as delicious juicy fruit, blossomed flower, and tree with perfectly shaped leaves, as well. Lemon the sour citrus fruit has a joyful yellow color, perfect texture, delicate flowers, surrounds us with a vivid flavored scent, gives us energy and is a steady and reliable support for our daily health (low calories, nutritious and main source for vitamin C) - a wonder of nature and a gift to us, so beneficial for all of us at any age. - is a treasure as flower, tree or fruit, and is the perfect ingredient for food, drink, medicine, cosmetics, decorations, and even a sort of inspiring "muse" for artists of any kind. Did you know about lemon? - The lemon fruit is used for culinary and non-culinary purposes throughout the world - primarily for its juice, though the pulp and rind (zest) are also used, mainly in cooking and baking. - Lemon juice is about 5% to 6% (approximately 0.3 M) citric acid, which gives lemons a sour taste, and a pH of 2-3. - Many lemon flavored drinks and foods are available, including lemonade and sherbet lemons. 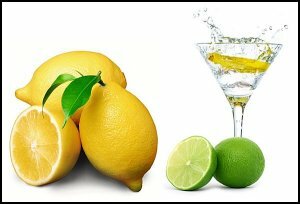 - The distinctive sour taste of lemon juice makes it a key ingredient in many dishes across the world. - The average lemon contains approximately 3 tablespoons (50 ml) of juice. - Allowing lemons to come to room temperature before squeezing (or heating briefly in a microwave) makes the juice easier to extract. - Lemons left unrefrigerated for long periods of time are susceptible to mold. - Lemon juice is used to make lemonade, in soft drinks, and as a marinade for both fish, where its acid neutralizes amines in fish by converting them into nonvolatile ammonium salts, and meat, where the acid partially hydrolyzes tough collagen fibers tenderizing the meat. - Lemon juice is also used as a short-term preservative on certain foods that tend to oxidize and turn brown after being sliced, such as apples, bananas and avocados, where its acid denatures the enzymes which cause browning and degradation. - Lemon juice and rind are used to make lemon marmelade and lemon liqueur. - Lemon slices and lemon rind are used as garnish for both food and drinks. - Lemon zest, the grated rind of the fruit, is used to add flavor to baked goods, puddings, cakes, rice and other dishes, lemon desserts or lemon food. - Pickled lemons are a Moroccan delicacy, flavored and tasty. Fresh lemon fruits, at various shapes and colors, with lemon green leaves are a wonderful decoration for your kitchen table or set in any other corner of the room. They spread around a delicate fresh scent, bring a colorful spot and make you smile and feel full of energy simply looking at them. - Lemons were the primary commercial source of this substance prior to the development of fermentation-based processes. - A popular science experiment in schools involves attaching electrodes to a lemon and using it as a battery to produce electricity. Although very low power, several lemons used in this way can power a small digital watch. These experiments also work with other fruits and vegetables. - deodorize, remove grease, bleach stains, and disinfect; when mixed with baking soda, lemon juice can remove stains from plastic food storage containers. - The d-limonene in lemon oil is used as a non-toxic insecticide treatment. See orange oil. Antibacterial uses because it has a low pH. 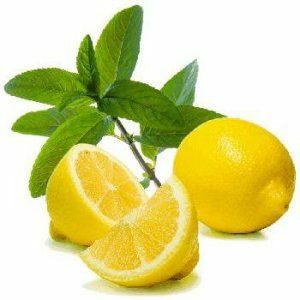 - lemon oil is used in both wood cleaner and polish, where the solvent property of d-limonene is employed to dissolve old wax, fingerprints, and grime. A halved lemon is used as a finger moistener for those counting large amounts of bills such as tellers and cashiers. - In one of the most comprehensive scientific investigations done yet, researchers at The Ohio State University reveal that lemon oil aroma does not influence the human immune system but may enhance mood. A halved lemon dipped in salt or baking powder can be used to brighten copper cookware. The acid cuts through the tarnish and the abrasives assist the cleaning. Lemon juice may also be used to lighten hair color, skin and teeth. "As you go about your daily life, you will encounter many lemons. Sour expressions, sour attitudes, sour auras! The good thing is that if you don't want to be a lemon, you don't have to be! Just don't let those lemons rub themselves all over you! And you don't even have to save them! Let lemons be lemons! One of the most important things that I have ever learned, is that I don't have to save people." Arab traders brought the lemons to the Middle East and Africa sometime after 100 C.E. http://www.organicfacts.net/health-benefits/fruit/health-benefits-of-lemon.html A very sharp, acidic citrus fruit with a shiny yellow skin and bitter but zingy flavour. Lemons are rich in vitamin C but have a low sugar content. Various types of lemon trees: Bush lemon tree - This naturalized lemon grows wild in subtropical Australia. They are very hardy, and have a thick skin with a true lemon flavor; the zest is good for cooking. It grows to about 4m in a sunny position. Eureka - Because it grows year-round and abundantly, this is the common supermarket lemon. Femminello St. Teresa or Sorrento - Native to Italy, this fruit's zest is high in lemon oils. It is the variety traditionally used in the making of limoncello. Lisbon - A good quality bitter lemon with high juice and acid levels, the fruits of Lisbon are very similar to Eureka. The vigorous and productive trees are very thorny, particularly when young. Meyer - This is a cross between a lemon and possibly an orange or a mandarin, and was named for Frank N. Meyer, who first discovered it in 1908. Thin-skinned and slightly less acidic than the Lisbon and Eureka lemons, Meyer lemons require more care when shipping and are not widely grown on a commercial basis. Meyer lemons have a much thinner rind, and often mature to a yellow-orange color. Meyer lemons are slightly more frost-tolerant than other lemons. Ponderosa - The tree is very hardy and can handle frosts; the fruit are thick-skinned and very large. Likely a citron-lemon hybrid. Variegated Pink - A varietal of the eureka or lisbon cultivars with variegated patterns in the foliage and the rinds of immature green fruit. Upon maturing to yellow, the variegated pattern recedes in the fruit rind. The flesh and juice are pink or pinkish-orange instead of yellow. Yuzu - Cultivated in Japan and Korea for centuries, yuzu have a flavor akin to a mixture of meyer lemon and white grapefruit. Yuzu is likely a wild hybrid between an ichang papeda and a sour mandarin, and is a close relative of sudachi and kaffir limes. Yuzu rival citranges and kumquats as the most cold-tolerant citrus.